By setting a specific goal, you now have a measurable goal. For instance, if you are trying to pay off debt and you set the goal of paying off $1,000 in six months, you now know how much you need to pay over the next six months to reach your goal. So your goal of paying off $1,000 in six months is really paying $167 a month. By breaking it down in smaller increments, it now becomes achievable. If a goal is not realistically achievable, it is also really just a dream. I have found in all areas of my life if I break something down into smaller increments, it is easier to achieve. If you make smaller goals out of your larger goals, you will reach your destination. In addition to being achievable, your goal needs to be results-focused. By breaking down your goal of paying down $1,000 to a monthly amount, you can see each month the $1,000 becoming a more attainable number. In our example, your $1,000 is $833 after one month, $666 after two months, $499 after three months, $332 after four months, $165 after five months and $0 after six months. Each month, you see the results of your hard work and this helps you keep your focus on your final goal. There are many tips to help you visualize your steps along the way. 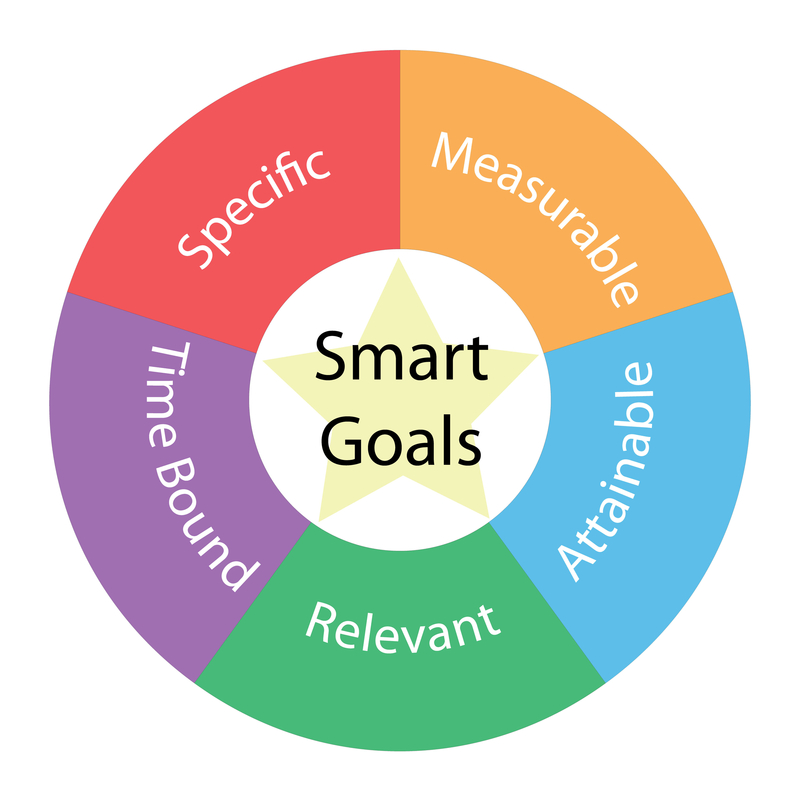 The final step in SMART goal setting is putting a set time on achieving your goal. In our example, our time is six months. For us, a real life example of this is paying off my car (our last debt) by the end of March. This goal is a stretch for us, but because we know the dollar amount (specific), the amount needed each month (measurable), we know with a stretch we can do this (achievable). We know we will see results each month and by setting a date of March 15, it is time bound.